Appearance: Betty Smith is an average sized, pretty woman about 30 years old. Her clothing varies from average normal clothes to a scientist cloak & jacket when she does science stuff. But her most recognizable outfit is her wrestling outfit from the WWE. 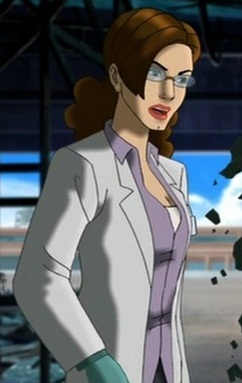 An outfit similar to that of her friend, Jennifer's She Hulk outfit. An outfit with her WWE name "the Red She Hulk." Biography: Betty was born in an average family, as she grew up with a wonderfull family. Her father was, & still is, a high ranking general in the US Army. She was always facinated with animals, especially dinosaurs. When she graduated high school, she became fascinated in another subject, Gamma Radiation. There, she ad worked with her father where she met her boyfriend, David Banner. The 2 soon got together & fell in love. Betty then met 2 other friends of Davids, Jennifer Walters, who has gotten her into the WWE business. 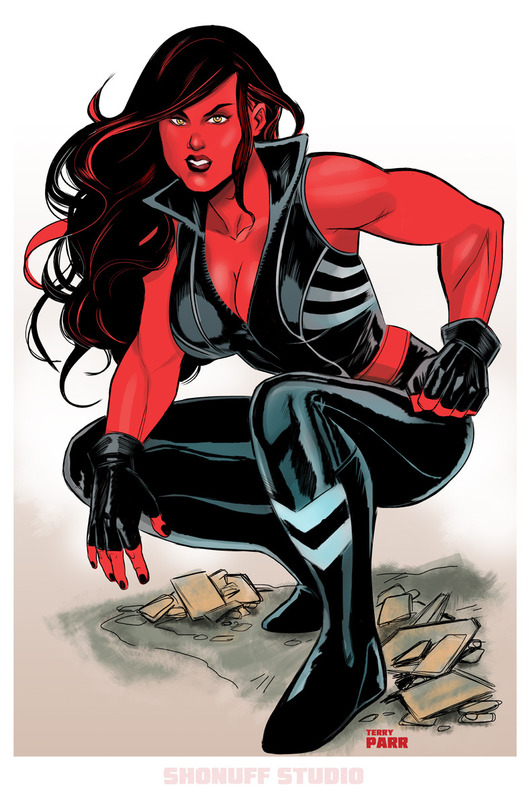 She became a very good diva there & created her own outfit, similar to Jennifer's, named the Red She Hulk. Another friend, is David's patient, Joe Fixit. She had grown fond of Joe as she feels sorry for his condition & was always there when Joe got mad as she always there to calm him down with her angelic nature. Now, she wishes to obtain a dinosaur or 2 & join her boyfriend. She has 7 months experience in the JFC business. But only cause she has helped Banner train his dinosaurs. She wishes, like alot of people, to win at least one tournament under David's guidence.